This was part of his payment...I loved it and hope you do too! your touch is so fine. like a ball hit by a racquet. when you start to edit. give me that editing thrill. One of my clients has given me permission to share this poem...Isn't it beautiful? as broad as the deep blue sea. in your attempts to shed me. as you stepped "in air on trust"
was the start of the end of us. deep in the rocks of the soul. doubting not, deep and bold. wills and wishes are but sand. need only to reach for my hand. Shed my shadow. Let tears cleanse. Go seek your horizons at the ridge. remember ..."I Too Built A Bridge." With a deep sigh, I closed Norma L. Betz’s first book, Dear John, having read it that day! What a delightful, satisfying read! Actually, you might say that Dear John has a book within the book, for it includes many original letters from Abigail Smith Adams to her husband, who was then the second president of the United States, John Adams. What a wonderful way to share part of America’s history with readers! The main thrust of the book is a love story, but not necessarily the usual one! Let me tell you a little about Susanna and Quincy... Susanna Smith is a professional woman who has created a rather insular life for herself...and her companion, Quincy. As an administrator at a college, she well knows that she should have already taken time off to attend to the estate of her late aunt, for whom she was named—Susanna Abigail Smith. But, in doing so, she would have to admit that she had trouble with delegation and had procrastinated leaving, even though she well knew that her staff could handle her department during her absence. When Quincy realized that she was pulling her luggage out and getting ready to leave, he was quite concerned that he might be left behind. However, when his favorite blanket was placed by the door, he felt it best to stay right there and ensure he went with her! No, Quincy is not her pet. He is her only real companionand much of Susanna’s dialogue is directed to Quincy! It’s a fun relationship and readers will enjoy their sharing. As Susanna laments not having visited her aunt more often and not even knowing about her death until after her burial, it is Quincy with whom she shares her turmoil. It is he that gives her his unconditional love and support when she begins to realize that she has shut herself off from her family and even other friends. Susanna’s arrival at her aunt’s home brings back many wonderful memories. But it is when she starts hearing the praises of her aunt from her lawyer, who had been in love with her, from his son and her co-worker that her pain and loss grows even worse. And when her aunt has left her a letter, along with the letters of her famous ancestor, she becomes enthralled with reading them even to the point of going to the library to read and research what was historically happening about which her aunt was writing. The movement back and forth between the life of Abigail Smith Adams, through her letters, and Susanna’s is very well done and adds tension to the reading of both. Susanna reads of what Abigail is facing as the Revolutionary War is fought and then learns more about what was actually happening through visits to the library where her aunt was once the librarian. At the same time, much is happening in Susanna’s life as she meets her own “John” and begins to care for him. Her life is turned upside down and is placed in danger because of what she finds there in her aunt’s historical home. The reader’s interest is sustained throughout as both the War is fought in 1775 and Susanna’s own internal struggles for her life begins. Quincy hooked me in, the historical letters caught my interest, and the drama of Susanna’s new life turned each page. I enjoyed this book and would highly recommend it to especially those interested in historical romance (although this isn’t a historical romance book). Once you start reading the letters from Abigail to John Adams you’ll understand this reference! By the way, the book includes footnotes and an extensive bibliography for the true historian. Friend and client, Aaron Kuykendall's sales are at 138,000! My friend and client, Aaron Kuykendall's book has already sold 138,000 copies! He's had 90,000 hits to his site! Conspirator's Odyssey: The Evolution of the Patron Saint is the name of his book. I've added my review today so check it out. Why am I excited...well, for one thing, the book has only been out since March. For another thing, I reviewed his book as the very first person who looked at it, so we've been working together for a long time, as he worked to get the book published! One of the issues that many authors say to me, is "I had no idea what I was getting into..."
For many writers, their dream has been to be published! And that is as far as they've dreamed. Do you write...just because? That is, do you write because that is what you need to do? Well, that is a wonderful gift you have and I hope you will find happiness through your writing! Whether or not you ever write a book! My partner, former publisher and author Bettie Tucker, has suggested that I should write two non-fiction books, based upon my experiences. I know that I could write them. I know that there may be some interest...or that I would have an audience to some extent. I doubt either would be accepted by a mainline publisher, however. Yes, I could publish via a POD publisher...no doubt about that...but I already know what would happen at that point! I wouldn't be having fun any more! 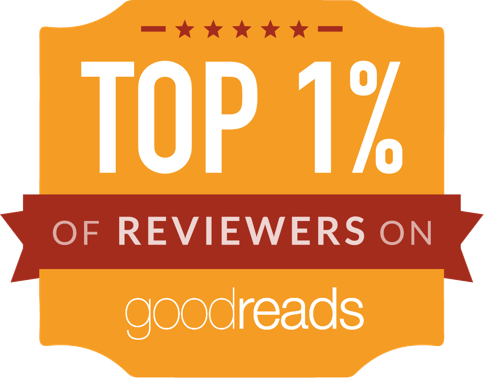 Reading books and writing reviews is fun for me most of the time. I wrote recently about one of my clients having sold 138,000 books in just about 5 months. I'm so excited for him! And, frankly, amazed! The average sales for self-published books is 2-300 according to my publisher friend. Now, the client who has sold many books has been working with a publicist...that is a wonderful option if you have the money... Choosing to go with a publicist should be based also on whether you are working to write a book versus start a career in writing. If you havemany books inside of you, just bursting to get out, then using money to hire a publicist may be the best possible choice for you. If you are self-published...then plan on doing everything yourself. Sure, some publishing companies have packages for publicity...but you will be paying for each of those optional packages. If you haven't reached the point of submitting to publishers, NOW is the time for you to research what publishers will do for you versus what you will need to do to publish your own book(s). By the way, it's quite alright for a writer to admit that they know little or nothing about the publishing and marketing part of writing! It's not only alright, it's a major step you should take to ensure...you know what you are getting into! Have a good day and God Bless! This particular story just made me laugh. Every time I think about it, the vision of that poor cat just amuses me to no end. Hope the story leaves a bright spot in your day. The kitty would not come down. The tree was not sturdy enough to climb, so the pastor decided that if he tied a rope to his car and pulled it until the tree bent down, he could then reach up and get the kitten. That's what he did, all the while checking his progress in the car. He then figured if he went just a little bit further, the tree would be bent sufficiently for him to reach the kitten. But as he moved the car a little further forward, the rope broke. The pastor felt terrible. He walked all over the neighborhood asking people if they'd seen a little kitten. No. Nobody had seen a stray kitten. So he prayed, 'Lord, I just commit this kitten to your keeping,' and went on about his business. A few days later he was at the grocery store, and met one of his church members. He happened to look into her shopping cart and was amazed to see cat food. This woman was a cat hater and everyone knew it, so he asked her, 'Why are you buying cat food when you hate cats so much?' She replied, 'You won't believe this,' and then told him how her little girl had been begging her for a cat, but she kept refusing. Lesson learned: Never underestimate the Power of God and His unique sense of humor. Your Exceptional Mind is the book I'm now reading for a review. It is intense and has me stopping to see how the book can be applied, once realizing that it matches with some of the fears and concerns I have experienced. I find I need to break away quite often to allow the words to sink in. That is a major difference in non-fiction versus fiction, isn't it? Non-fiction sometimes forces you to face your own reality much too clearly! My fun book is Stone Cold by David Baldacci and it certainly allows me to escape! It is one of his better ones and is a followup to Camel Club! I find I need both to keep my reading happy times...How about you? Facing yourself too much and too often is sometimes tedious! LOL! Message from Author of Bravo! This note is for "Glenda," who reviewed my book, BRAVO! on the Amazon.com site. Kindly put this in her 'in' box. Hello, Glenda Bixler. I published a book, KEYSTONE, on the history of my state (our state?). But this was my first book with a chance at a national audience. I can't express my gratitude and esteem for the work you did in reviewing BRAVO! It wasn't simply that it was a favorable review; but that you pounced on some of the very points that I hoped readers might notice. The fact that you were the first to put a review on Amazon is also gratifying to me. I'm a collector of cat books as well as cat memorabilia of all kinds! So, needless to say, I was pleased to receive my copy of The Tiniest Tiger by Joanne L. McGonagle. I am delighted to add it to my library! This is a children's book; however, I must say it is so much more! The storyline is sweet and will be a delight to share with young children! I suggest that you read it or help your child read it through the first time. Why? Well, there is a major emphasis on large cats all being endangered. As each new cat is introduced, statistics are provided regarding the normal size and litter and a small map is provide to show where each cat normally lives. This information will be very beneficial in teaching children about animal conservation; however, younger children will need some assistance in understanding the "sign" that appears on specific pages. The tiniest tiger is a striped shorthair domestic kitten that has been playfully led astray by a butterfly. She thankfully winds up near a zoo and notices that there are large cats there. Surely she can find a place to live with them and so she first finds a tiger and asks if she can live with her. At this point, I must admit that my personal attention was immediately drawn to the paintings of the cats. In addition to the beautiful cover, there are 15 two-page spreads in this book, 9 of which show wonderful detailed color portraits by Rachel Mahaffey of the 8 endangered cats. I studied the details in each painting, and found them excitingly specific to show the differences between the big cats. I believe your children will find many happy hours going through the pages as the little cat was sent around the zoo, trying to find a home. As I continued the story, I knew that the comparison to each of the cats was instinctual as well as part of the story. My own cats will seek, first, to build friendships with those of the same color and length of hair when they are old enough to be on their own. And then they work to become part of the overall larger group. It will be fun to read along with your child, to study the details of each of the big cats and see how they differ from each other as well as the little kitten. Yes, of course, the tiniest tiger finds a home right there at the zoo. Which big cat do you think adopted her? You are in for a surprise if you choose the Bobcat! Please note that a portion of the proceeds from the sale of The Tiniest Tiger will benefit conservation projects for endangered wild cats. I admit it--I thoroughly enjoyed The Tiniest Tiger! If you are a "cat" person, are concerned about conservation of our wild life, or have a child or grandchild with whom you want to share the joy of reading and learning...then, by all means, this book is for you! Enjoy! Bravo! Greatness of Italian Music - by Guy Graybill From Sinatri to Pavarotti and so Much More! · His use of Acts rather than the common "chapter" to separate his material. 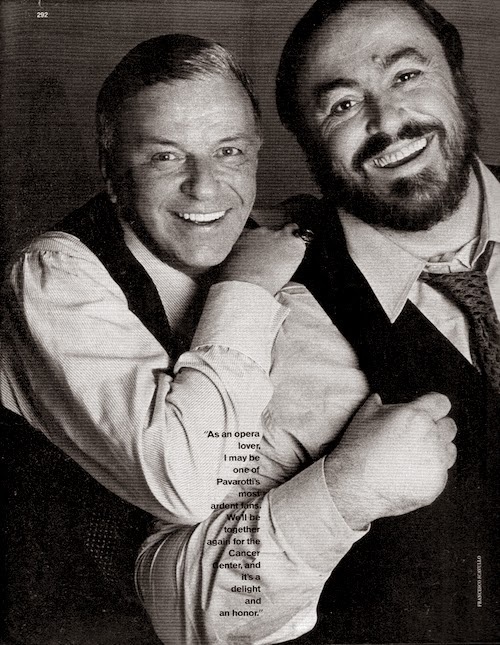 · His choice of highlighting both Sinatra and Pavarotti on the cover to show the breadth of his content. · And, finally, the inclusion of many historical pictures as well as many beautiful hand-drawn portraits from the Dante University Press. Do not doubt that this book will become a major reference for students of music! The back cover states, "The Italians were so busy creating and performing superb music that they neglected to tell the great epic story of their wondrous achievement." 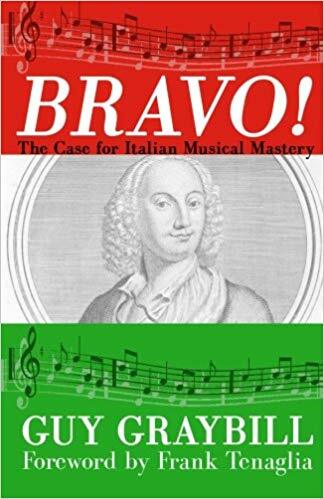 Indeed, the author has "demonstrated...the Italian contribution to music is overwhelmingly superior." 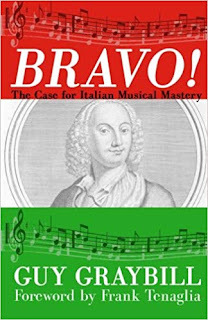 (p. 234) His Curtain on that same page provides 14 areas of music in which Italians excel! Obviously, creation of fine instruments, operas, and symphonies are just a few. Let me illustrate by just highlighting names that many of you will readily recognize: Gregory who composed the Gregorian chants; Stradivari, makers of stringed instruments; Paganini; Monteverdi, opera's first genius; Verdi; Caruso; Pavarotti; and, one of my favorites, Andrea Bocelli, who is involved in both opera and more modern music and even has his singing in a commercial--how cool is that! If you don't recognize those involved with classical music, how about: Anna Maria Alberghetti, Mario Lanza, Frankie Avalon, Bobby Rydell, Jim Croce, Dean Martin, Bobby Darin, Frankie Lane, Jerry Vale, Sonny Bono, Jerry Colonna, Perry Como, Tony Bennett, and, of course, Frank Sinatra. Just imagine! I've highlighted only those individuals whose name you will probably recognize. I believe you will realize that this book is well beyond a students' text! Anybody who is interested in music will find the personal stories and biographical information on these individuals fascinating! From Italians and Italian-Americans, there has been "more music lost" than has been created by others! That's a powerful statement, isn't it? Graybill has the statistics--the numbers, to back this up if that will interest you. I think anybody who stops to think about the great music they've come to love, they will realize the impact that Italy's musical genius has made on all of their lives. Graybill has done an outstanding performance--a major triumph for both history and music! Consider this a must-read for music students and professionals! For others, enjoy this writer, like I did, as I read little tidbits like, "Do corpses really roll over within their graves if something disturbing happens in the world of the living? If so, there's no doubt that the corpse of operatic composer Amilcare Ponchielli took a couple of whirls during the 20th century...especially if he heard the "highly successful musical parody in which Amilcare's stirring music is sung to the opening words, "Hello Muddah, Hello Faddah..." (pps. 98-99) You're going to enjoy this one! Guy Graybill is the author of five published books: KEYSTONE, BRAVO!, PROHIBITION'S PRINCE, PRINCE AND THE PAUPERS and FROST! Guy attended rural Pennsylvania schools and graduated from Gettysburg College with a degree in History. Guy Graybill worked in a Pennsylvania state capital mail room, in a brick plant, in the Geisinger Medical Center (Danville, PA) and in schools in Aguilar, Colorado (one year) and Loganton, Pennsylvania (two years). His career position was three decades in Middleburg, PA as a secondary History teacher. After retiring from Middleburg, he was elected to a four-year term as chairman of the board of commissioners of Snyder County. Guy married his high-school sweetheart, Nancy Yerger. They have now been married for many decades and are the parents of four grown children. Guy Graybill is proud of the support he has received from individuals who wrote the forewords to his books. They include a man who is now Budget Secretary to the governor of Pennsylvania, a Philadelphia opera singer, and a former speechwriter to five U.S. presidents. Other than writing, Guy Graybill's hobbies include travel, amateur archaeology and photography. Guy has traveled in more than 40 of the U.S. states, as well as Japan, Okinawa, Canada and Guatemala. He conducted one local archaelogy project for the 1976 U.S. Bicentennial observance and his photographs have appeared on greetings, postal cards, and more than 100 covers of small magazines. used to identify a group of his verses. With trash instead of facts. And SEEM to match the times. Her smile is a rebel smile. She knows the disarming art. A threat to my sov'reign heart. I'll show that her threat is known. To crush them beneath my own! Do you Read- or Can you - Read a Book a Day? Oh yes, these are books I've reviewed professionally. At the same time, I normally have a fiction book that I'm reading. One of my favorite fiction authors if Robert B. Parker, writer of the Spenser series, et.al. Anytime I'm working with an author who needs help writing dialogue, I suggest they buy one or two of Parker's books--any of them will do. His dialogue is clean and refreshing, no matter which characters he's using. I read Edenville Owls, a young adult's book recently. As soon as I started, I knew the book was written in honor of he and his wife when they were young...how cool! Yep, I read young adult fiction, especially by a favorite author. Who knows what you might learn?! One of the ways I keep busy is that I became a professional book reviewer, after working part-time with my best friend and publisher, Bettie Tucker, who previously ran the Christian publishing company called Rainbow's End. There I got involved and learned about all phases of publishing a book, including writing reviews for publicity packets. It was not surprising that when we thought we were ready for retirement, that we then created a book review site! The thing is that we have just as much work as we did when we were working! But it is work that all of us enjoy. I have an interest in helping new authors through my book reviews. So a lot of my time, I'm working to support my clients through posting their book reviews. You will see them all over the Internet! I hope you will realize that some of these are individuals who have bypassed trying to find a major publisher. Many of them are retired and do not have the time to devote to first finding an agent and then a publisher. Many have used the fantastic new print-on-demand process that allows an opportunity to seek alternative methods of becoming published. Have you ever thought of writing that novel, your memoirs, your family's story? Well there are lots of alternative ways to do that now...But do be careful! Just as you would with a major purchase...spend some time evaluating that process, what company's are available...what they will provide for you and what kind of guarantees/references they can give. Never let a self-publishing company make you feel that "they" are doing you a favor! This is still a business transaction and, no matter what, you want to ensure that you KNOW what you are getting into...and the potential costs! Additionally, you may not realize until your book is in your hand...it will be ENTIRELY up to you to sell your book(s). Now, for many people, especially older ones who chose this route for speed, you may come to realize that all of your time may be dedicated to selling your book. Be prepared for this before you start. If you don't think you want to spend your time selling your own book...then rethink what it is you do want to do! 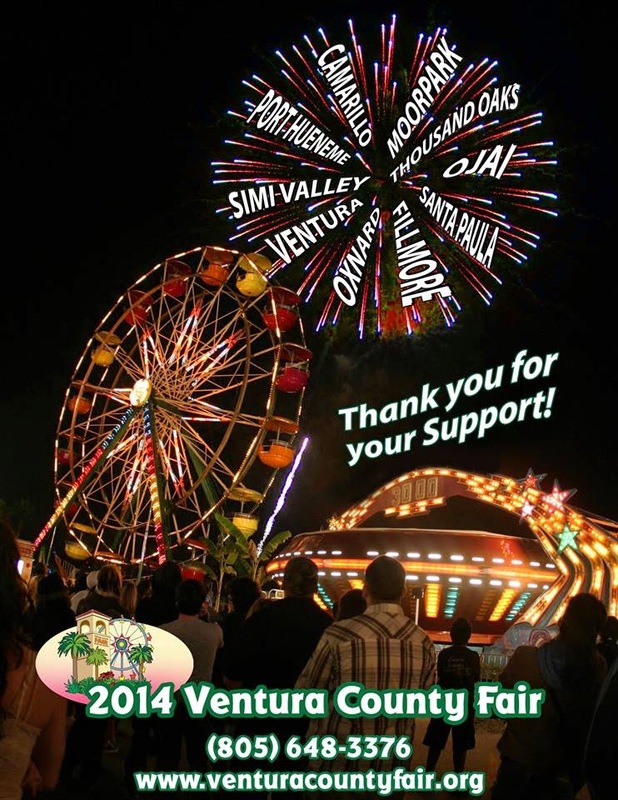 Our site brings together professional, but independent, book reviewers, editors, proofreaders. We work on an individual basis to try to help a writer get through potential scams! But oftentimes, it is too late when authors come to us. So we begin to help where they are. We won't do a book review if it is full of errors; e.g., spelling and/or grammatical. This is not normally a part of the book review process; however, we do it to protect our own reputations as well as our attempts to help the writers.